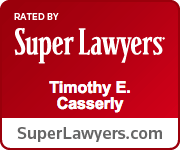 Albany Elder Law Lawyer - Albany County Estate Planning Attorney - Medicaid & Medicare Lawyer - Burke & Casserly, P.C. BURKE & CASSERLY, P.C. CELEBRATES 30 YEARS ~ SEPTEMBER 16, 2018! Our goal is to be our client's lawyer for their lifetime! From the start of their journey with the birth of a child, planning for his or her future, and assuring their care in the event the unthinkable should happen; to the acquisition of a new business; to the sale of that business and a plan for succession; to planning for retirement; to a plan for aging and assistance with their long-term care needs; and, finally, to the end of their voyage, through the estate settlement process. We don't want to our client's to just get it done, we want them to get it done right! For over 30 years, Burke & Casserly, P.C., has prided itself on helping individuals, families and businesses in the Capital Region and throughout New York State, devise a plan to secure their financial futures. 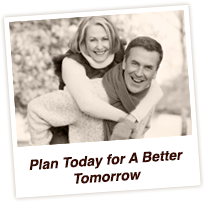 Our practice focus' in Elder Law ~ asset protection, long-term care planning, Medicaid eligibility and applications, and guardianships, Estate Planning - Wills, Trusts and Estates, Financial and Retirement Planning and Business Planning. We help you with the planning tools you need throughout your lifetime. What is Elder Law? Despite the name "Elder Law Attorney," the services that an elder law lawyer provides can be applicable to anyone of any age. 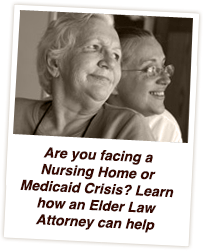 Elder Law encompasses all issues relating to the aging, incapacitated or the disabled population and their caregivers. For instance, Special Needs Planning includes planning for persons of all ages with physical, mental or developmental disabilities including the creation of Supplemental Needs Trusts and eligibility for government benefits programs. A person who is suddenly faced with a serious life change due to an accident or sudden illness may find that the services of an elder law attorney are appropriate. Guardianship proceedings are sometimes appropriate for developmentally disabled persons of any age. We assist our clients to develop a strategy to pay for long-term care, to protect and preserve their assets, to assure Medicaid eligibility or to maintain continuity of government benefits while receiving the care most appropriate for their needs. Our team of legal professionals will also assist with the very time-consuming, stressful and complex Medicaid Application process. We will ensure Medicaid eligibility, review senior housing options, collaborate to obtain the extensive documentation required, and complete and submit the application. A part of our planning services may also include Crisis Planning. As an example: a loved one finds themselves in a hospital; the hospital deems it unsafe for them to go home; the loved one has done no pre-planning - is it too late to protect their assets? In most cases, no, it is not too late to at least protect a portion of their assets while securing eligibility for Medicaid benefits, even when the Applicant has significant assets. In fact, our law firm was instrumental in the development of a planning technique used by Elder Law lawyers throughout New York State for this scenario. 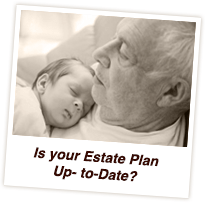 While Elder Law is to develop a plan in the event of incapacity, Estate Planning is essential for establishing a plan to leave a financial legacy to your loved ones upon your death. Our attorneys consider both aspects, incapacity and planning for death, to devise a cohesive plan. A good estate plan will include an analysis of ones’ assets, identify the best course to minimize tax implications, protect assets, avoid the potential for conflict and dispose of the estate as designated by you. An estate plan may include Last Wills and Testaments (Wills), Trusts, Powers of Attorney, Living Wills and Health Care Proxies as well as a review of beneficiary designations. Burke & Casserly's Financial and Retirement Planning services prepare our clients for their life after paid work ends. The goal being to build up enough assets to adequately provide income for their needs throughout the retirement years. Those services might include an assessment of investment portfolios, tax planning strategies, setting financial goals and priorities and the steps to meet them, and a review of insurances for sufficient coverage. A great deal of our clients are business owners. We provide Business Planning and Corporate services, including entity formation, business growth and structure, dissolution, succession planning and annual corporate compliance. Our Albany Elder Law lawyers provide guidance to individuals, families and businesses to develop a plan for their future. Our team of experienced attorneys is dedicated to bringing you and your family peace of mind while walking beside you through life's journey. 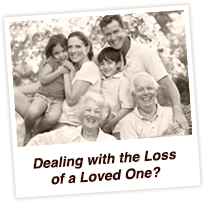 We will help you through every step of the process, whether you are planning for your own retirement, need help with an aging loved one, need to set up a trust for a special needs child, or need help with wrapping up the affairs of a recently lost loved one. Our objective is to develop a long-term relationship with each client based on that client’s individual planning goals, and to empower and assist the client in achieving those goals. In order to provide effective results, the attorney-client relationship is founded on individualized service combined with sound legal advice and integrity, provided in an economical manner through the appropriate use of associate attorneys, paralegals, staff, and technology. Each client has unique circumstances and whether it involves a complex estate plan or routine transaction, the Albany elder law lawyers at Burke & Casserly, P.C., work closely with each client to tailor a plan to meet that client’s unique needs and concerns. We help our clients protect their assets, plan their future, grow their business and preserve their family legacy as they travel the road of life. Centrally located in New York’s Capital District region, our office is conveniently located on Washington Avenue Extension near Crossgates Mall. Serving clients in Albany, Schenectady, Rensselaer, Saratoga, Columbia, Schoharie, Montgomery, Green, Fulton, Washington and Warren Counties, our offices have easy access to major roads and highways, convenient free parking and handicap access to the building. To learn more about Burke & Casserly, P.C., please call our Albany elder law attorneys at 518.452.1961 to set up your free half-hour personal consultation. We look forward to working with you to plan your journey!